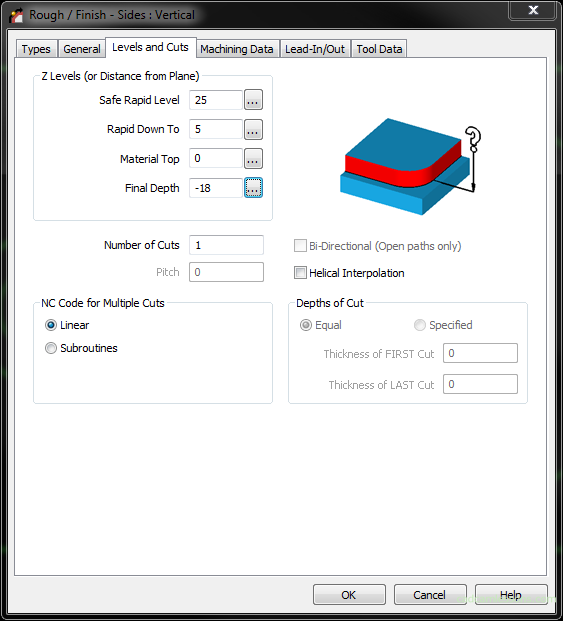 The next tab in contour machining is the Levels and Cuts tab. 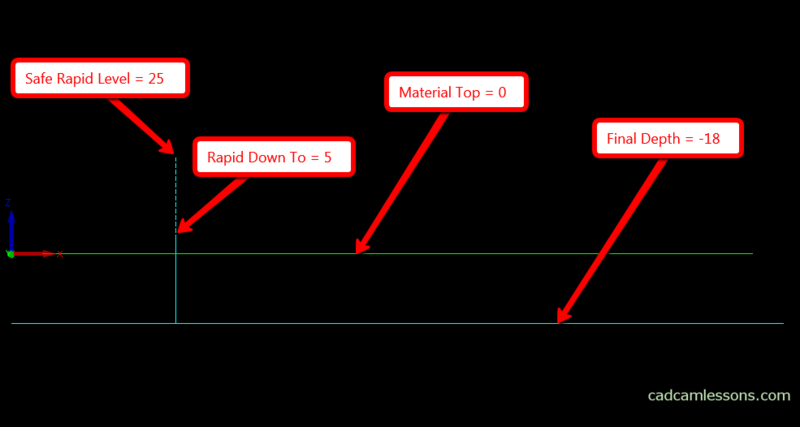 This is where we define the upper and lower milling levels and the safe height. Safe Rapid Level is the height above which the tool can move freely without the risk of collision. The value of this height will be generated in the machining program as the first coordinate in the Z axis. So the tool from the tool change point, with the movement specified in the machine controller, will be set at this height in the XY coordinates of the tool path beginning. It can be move first in XY axes, then in Z or smoothly in 3-axes XYZ. At this height there will also be high-speed move between operations and the tool will retract quickly after the operation to this level. Rapid Down To is the height at which the tool will move with rapid move G0 from the Safe Rapid Level and from this moment the work feed G1 will be switched on. Material Top, as the name suggests, the upper material level. The height from which we will mill. Final Depth is just the depth at which we mill in the current operation. The tool will work to this level in the Z axis. 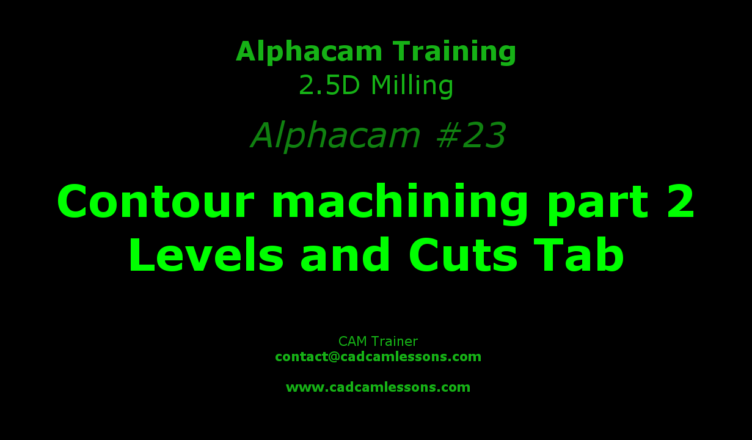 Milling levels will appear quite often and I will remind them, but now it is worth to read them.